Hours/ week – Minimum and maximum weekly hours. So for example, if you see, 4/8, it means that a course with a minimum attendance of 4 hours a week and a maximum of 8 hours a week. 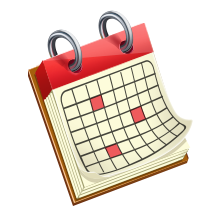 Week ends – Some school courses are held on Saturdays and/or Sundays. January, February... - The months indicate the school’s activity periods, that is in which months is the school open and organises courses.